Happy Hallo-Women at Warp! 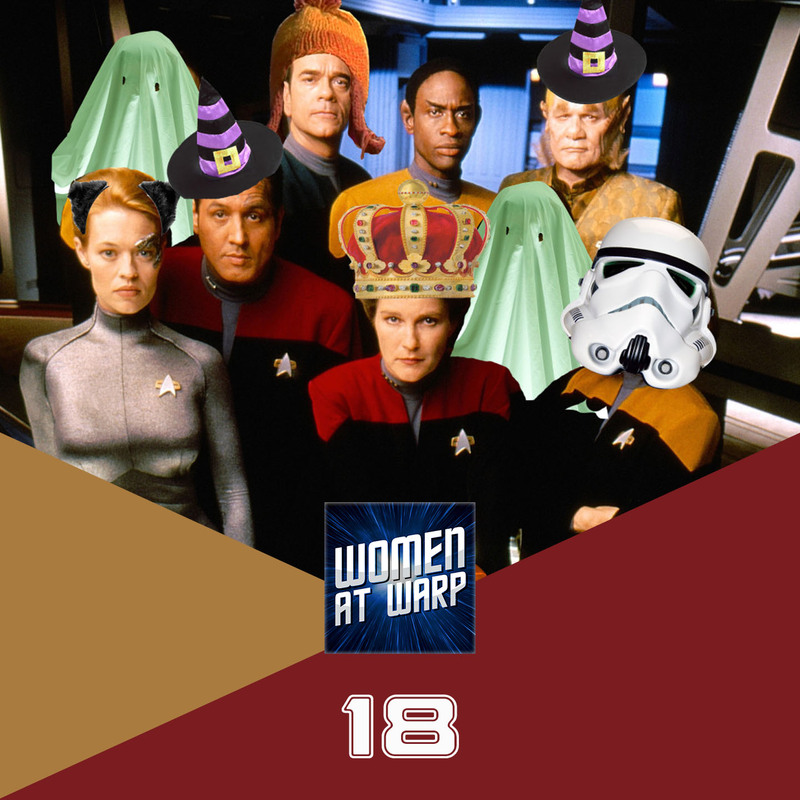 This week we look at the most Halloween-y Voyager episodes: “Bride of Chaotica”, “The Haunting of Deck Twelve” and “The Thaw” and learn how Janeway > Fear. For more on women’s fear of sexual assault, check out Kate Harding’s recent Guardian article, or better yet, her book Asking For It. To learn more about the kind of “retro sexism” we see in holodeck fantasies like Captain Proton or the “Our Man Bashir” scenario, check out this early Feminist Frequency video. Happy Voy-oween! Well, I guess it’s a little bit late for that. Anyway, another great podcast about some really well chosen episodes around the whole spooky scary theme! I especially remember “bride of chaotica” as one of the episodes that I got in, I think it was an “alternate realities” ST-DVD Pack long before I watched voyager as a whole series and it always stuck with me as one of the most original ones. The way that Star Trek touched on old media and scenarios like that was, in my opinion, often not as reflective as you could expect. They did a much better job at pointing at societies problems regarding environment protection, war and piece and basic moral issues rather than picking up problematic things regarding racism or sexism. That said, I think that the kind of subtile way they did it in “Bride of Chaotica” is a good choice and really helped this episode telling a message without nescessarily saying it out loud. I always like it when problematic topics are adressed in a way that is more complex than just pointing a finger to the camera and saying how bad something is. But then again, that might be personal preference. Having an open discussion or dialogue about this wouldn’t have done any harm either, but I generally don’t want to assume that that’s nescessary to make the audience think a bit. Now I am eager to see the next podcast and maybe a discussion about some things that they should do better in the new announced series. Maybe a transgender character for the whole crew or maybe some topics for single episodes? I think since voyager, there is a lot to catch up with. Personally, I want to stay optimistic, but at the same time, I am not entirly sure in wich direction new Trek will be going and with all the fuzz about the JJverse, I am afraid that the production team might set other priorities than touching some more serious topics in the first season. Hopefully, they’ll prove me wrong and make some star trek again, that adresses new topics like voyager did when it started, and hopefully, they’ll do it even better this time!